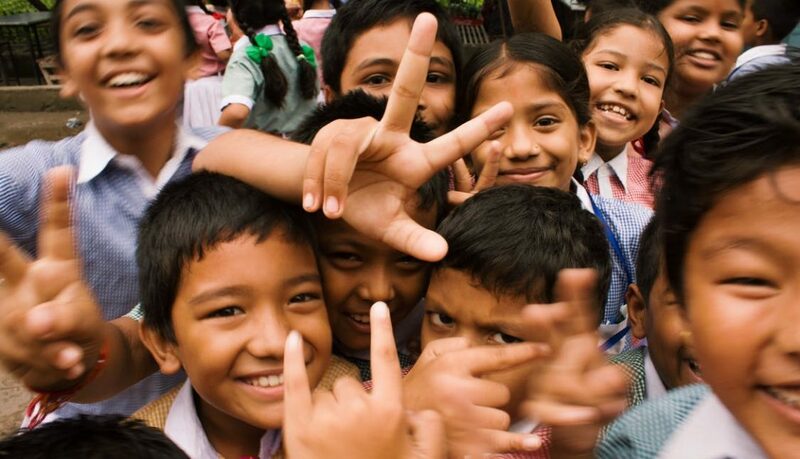 Research has found that young dual language learners (DLL) particularly benefit from participation in high-quality preschool programs, making access an important issue. That means that information on participation by children’s home language — knowing how many bilingual learners are in the general population and how many are enrolled in the state preschool program — is a starting place for increasing access. With non-English speaking families making up a disproportionate share of low-income households, participation in preschool that meets their specific learning needs is critical to prepare DLLs to thrive in kindergarten. Unfortunately, according to the National Institute for Early Learning Research only 26 state-funded preschool programs in 24 states and Guam collect data on the language used in a child’s home. 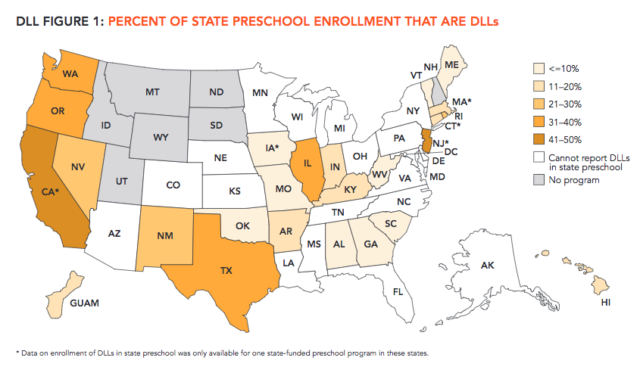 In those states, on average, 29% of children in state preschool were DLLs; whereas nationwide, about 23% of the preschool-aged population are DLLs.